According to a report by SaharaReporters, President Muhammadu Buhari have been cleared by the UK Doctors to travel back to Nigeria next week after he h. A presidential source told a correspondent that Mr. Buhari was likely to leave London for Abuja next Thursday. The source disclosed that the Nigerian president spent a day at a hospital in London where he underwent a series of tests to diagnose the nature of his ear ailment and a course of treatment. He declined to name the hospital where Mr. Buhari was seen. 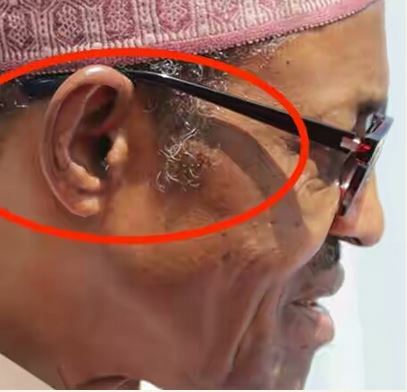 According to the source, the doctors in the UK determined that President Buhari’s ear got infected after one of his doctors in Abuja “cleaned” his ear when he complained about a substantial loss of hearing from that particular ear. The presidential source stated that a female Ear, Nose, and Throat (ENT) doctor treated the president. He said Mr. Buhari’s ear was cleaned again, and antibiotics applied to it. After just two days in the UK, Mr. Buhari reportedly proclaimed that his ear was feeling fine, according to a source. It was learned that President Buhari has returned to the Nigerian diplomatic residence in London known as “Abuja House” where he intends to spend the rest of his time in the UK. Another source in London disclosed that doctors in the UK had also prescribed a chest x-ray for Mr. Buhari to determine the cause of his persistent cough. The source said he was not aware what the result of the x-ray was.